update– A word of warning: It seems the cloud functionality is still expanding and it now actually works. This would be great, if it was possible to disable this function, but it is not and per default EVERY camera is accessible from the outside of your network when they know the device ID! Very VERY bad! A watchful reader made me aware of this fact, much gratitude! If you decide to run the P2P intergrated firmware, but sure to realize what this means. Anyone in the world can watch your camera, I would advise to only use it if you can block/drop it with your firewall. –update I have made a new post about firmware version 2.5.1.8 which was recently released. I will keep this post alive because there are a lot of valuable comments in here! If you upgraded, please comment in the newer post! 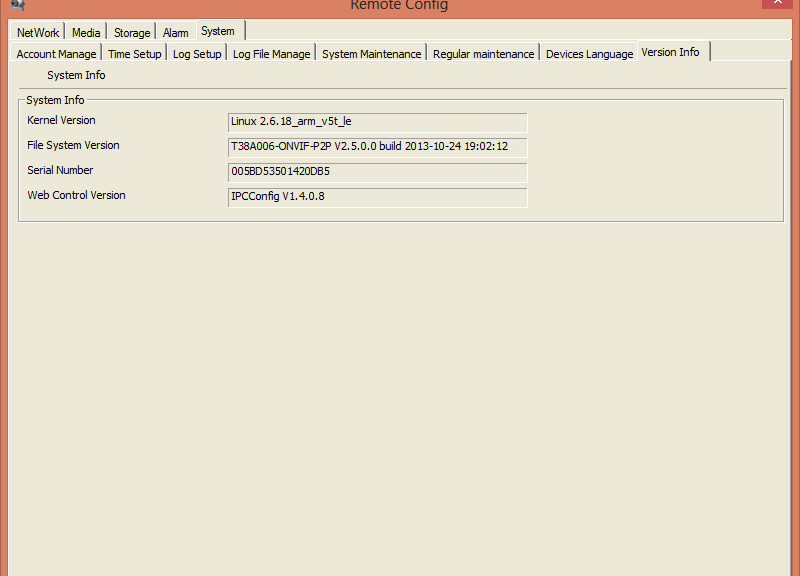 As with all firmware, no change-log is presented so what changed can only be guessed. Feel free to let me know about your suspicions in the comments below! It says it’s status 1 and gives me a DNS name. Since the website is probaby hosted in China it was a bit slow to respond, but did come up after a while. From the looks of it, the service/website is not completely finished yet. When you for instance click on the “Device Type” drop down box it clearly shows all kind of names used for testing purposes. Also, I could not get a picture from my camera and most other functions didn’t do anything either. But, potentially this could be interesting. If the cameras could report themselves to a global system from within the firmware and you could view them live or even do alerting that would be awesome. No more need for having computers running 24Hrs a day for a simple setup, etc. But, right now there doesn’t seem to be an “off” button for the camera NOT to login to this cloud stuff. That I believe to be a bad thing because while the service might potentially be great, I would always like to option of using it or not. Other then this all is working as it was before, you can find my self hosted downloads here: firmware_TS38ABFG006-ONVIF-P2P-V2.5.0.0_20131024190214.bin as always you can also find the extracted control utility for people who are having trouble installing the tool: tsconfigipc.7z it is now at version 1.4.0.8. Let me know your thoughts about this or what you are able to find out about the new firmware in the comments below! Firmware is still coming out and since a little while datacompboy is actually recompiling the firmware and improving upon what tpsee (the board manufacturer) is actually making. You can download his newest version from my FTP site here: Version 2.5.1.5-TCPFIX. Remember, if you are unable to upgrade, drop your resolution from 5Mp to 720p because the 5Mp mode probably uses too much memory. This Version has my IP Camera and I find the Cloud bad. Can i downgrade the Firmware? The firmware update seems to have resolved the 'random' dropouts I was seeing in the video using blue iris and milestone. I just put a bogus gateway in the network config so it is unable to get to the internet. Works great if you have a system on your LAN to connect to, ie blue iris or milestone etc. May i update to TS38ABFG006-ONVIF-P2P-V2.5.0.0_20131024190214.bin too? What does that P2P in the Filename mean? Thanks, I would never have worked that out myself! i'm trying to contact with manufacturer to get fix of that problems. Have you tried switching the stream to UDP and other fixes (lowering bitrate below 3000, etc.) as I have mentioned in other articles? I am able to stream for multiple days without drops or issues using VLC or Genius Vision, etc. That would be great! Although my streams just work using UDP. VLC, Genius Vision, xsplit (which does NOT reconnect if the stream breaks), etc. I am using several of these cameras with the Linux Motion software. I too noticed the traffic to China. I got around this by using another Ethernet port and just hung all the cameras in a subnet off of this port. Since the forwarding feature is not enabled, the cameras have no way to get out. Some of the ONVIF functions can be invoked from the command line with the curl program. From this I was able to query the camera. So for example, here is the command to get the device profiles by sending the contents of a pre-written file with the SOAP XML as the contents. So, a little complicated, but not too bad. In the end, what I discovered is that to access the camera, you had to first invoke this GetProfiles function. This returned a profile name. Here is the thread config info for Motion. In the last post, the XML did not paste in correctly. I guess they are trying to filter out XSS. You can find the XML example in the ONVIF programmers reference manual in the examples in the appendix. I have finally get fixed for that (DaVinci core) cams firmwares. If anyone intrested, i could rewrite article in english. i've a question about our cam. I actually use this firmware (firmware_TS38ABFG006-ONVIF-P2P-V2.5.0.6_20140126120110.bin), but i can also change to an older one if necessary. Is it possible to connect to our network camera with ssh / telnet? try resetting your cam to "factory default settings". but rememberg, that the ip is now again 192.168.0.123.
then try update your firmware. i tried it the first time without resetting and it failed. after resetting to default settings it worked. THANKS ..FOR HELP..I HAVE UPGRAGED TO V2.5. wooow. that would be nice – but not necessary for life going on. so if you will do – thanks. if not, also ok. i've no idea to do it for myself and i dont know how many work it is for you. Is it possible to increase the number of motion detection areas – 4 * 4 is not enough. 8 * 8 would solve my problems. Hi, I have an COTIER IPc-651/T13 CMOS 1.3MP with TS38RS-ONVIF-P2P-V2.5.0.0_20131024190718 firmware. Is there possible to get newer , maybe 2.5.0.6 firmware version for this cam ? and If yes where ? I can't find it. Thank you ! when alarm was triggered, i didn't get the email. I use google smtp (smtp.gmail.com, port 587/465/995/25, SSL – enable… how make e-mail (or FTP) working on this firmware? New firmware is out — 2.5.1.0. Main changes is light sensor and day/night more switch. – Day/Night IR switching still seems buggy, what setting do most people use? – Would really love to get SSH access! @datacompboy: What does the TCPFIX do? . I did buy myself (for testing purposes) a 960p HD cam and did find out that the image during daytime is ok and night time is worse compared to my Foscam 9831W. And apparently have V2.5.1.0 build 2014-06-12 16:46:19 FW. Cool! Updated to 2.5.1 and the snapshot url is back! Thanks for all the updates guys! I have the same issue, tried everything. I'm using TH38E-ONVIF V2.5.0.8 build 2014-05-26 16:18:50. Has anyone managed to setup gmail smtp directly from the cam? Actually, it have. To enable telnetd uncomment "inetd" in /etc/init.d/rcS and fix telnet entry in /etc/inetd.conf by replacing user "telnetd" with "root". Repack, flash, done. I'm basing this on TS38ABFG006 V2.5.1.5 image. BTW, your tools (tpsee_hack) ROCK. Huge thanks. Does you camera have a varifocus lens? Sadly, a lot of those are not very well IR corrected and thus will shift focus between day and night time. I don't use them anymore. Other then that, I do not know what kind of sensor is included in your camera. The 5Mpix sensors I normally are actually quite good for day and night! The TCPfix fixes some TCP handling that the original firmware is doing incorrectly. What changes brings new software? Windows has blocked this software because it can't verify the publisher. Yeah, internet explorer kind be kind of tough in that regard. Mostly switching it into compatibility mode and/or lowering the security settings will allow you to download the required plugin and run it. Also, the blue line that you "the plug is not installed" you can click on it, or right click and get the link (and then download it with a different browser or directly) and install the plugin. After you install it that should just let you run it as a normal executable. No varifocal lens. Just a CS lens, as I can see there are a lot of noise at night compared to the Foscam but the foscam only have like 5 frames/second. Thanks for the TCPfix explanation. If I remember correctly, gmail requires SSL. Might try enabling that. Hi, Apologies if this is a silly question, but how 'transferable' are is this firmware? Can anyone point to firmware that would be suitable. Hi, is there anyway to save the recording directly to FTP server. I bought 4 of these thinking they can save video directly to FTP server. This is one of the reasons I am looking at a firmware update. I too wish to save pictures on motion detection to a FTP server, the GUI seems to offer it and I can configure a FTP server but it does not seem to even try. I have to IP cams running. 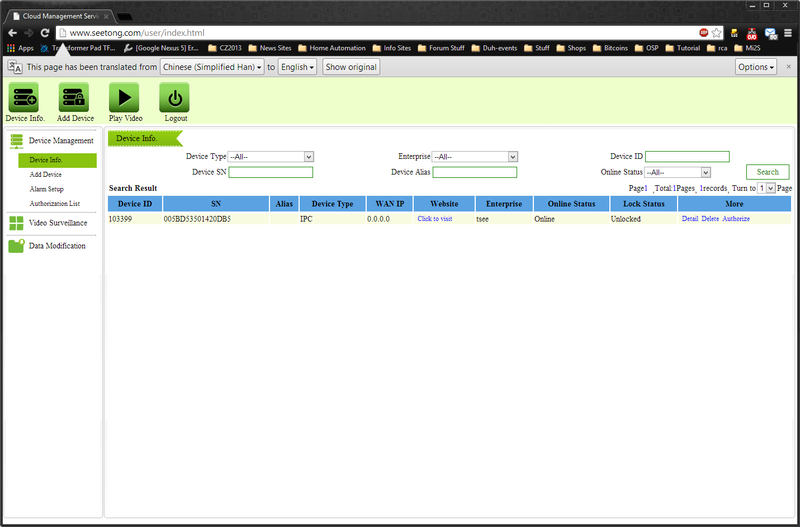 Both on firmware T38F006-ONVIF V2.4.4 build 2013-02-26 21:33:05. I tried to upgrade them to either 2.5.0.0 or 2.5.1.2 but I get either one of 3 error messages. I already tried factory settings as well as cam in 720p etc. How the stream Main stream and Sub Stream on click2stream.com ? Try doing a factory reset. That seemed to be key when I updated. HI thanks for the tpsee_hack. Have manged to turn on telnet on my cam but i would like to mount an nfs share and add it to storage for recording. Is it possible? is there some way to send tcp notfications upon motion detection? i have unpacked the firmware file and done a few mods. How did u mage to turn telnet on. can i use this firmware an application(ipcfix/hack) for my chinese camera T38J3-ONVIF-P2P with firmware V2.5.1.5 build 2014-08-22 12:20:17. I would like to login on the camera Linux in order to see what is going on. putty with rlogin (513) and I am asked to give a user name. I have tried root and nd admin but no success. Motion alarm has never given any reaction. And thanks for keeping this Meeting Point alive! With this i can upload it to my local ftp-server (filezilla) and i there are no problems. but i don't use mation detection. i just upload every 12 minutes 1 picture. Anyone know the root password? Been running john ripper using GPU against entry in /etc/passwd for 2 days, nothing yet. It should be possible to disable the cloud service by removing /opt/topsee/seetong.flag file. Dear all, can you please help with some advice? Which file can I use to upgrade my device to V2.5.1.5 ? 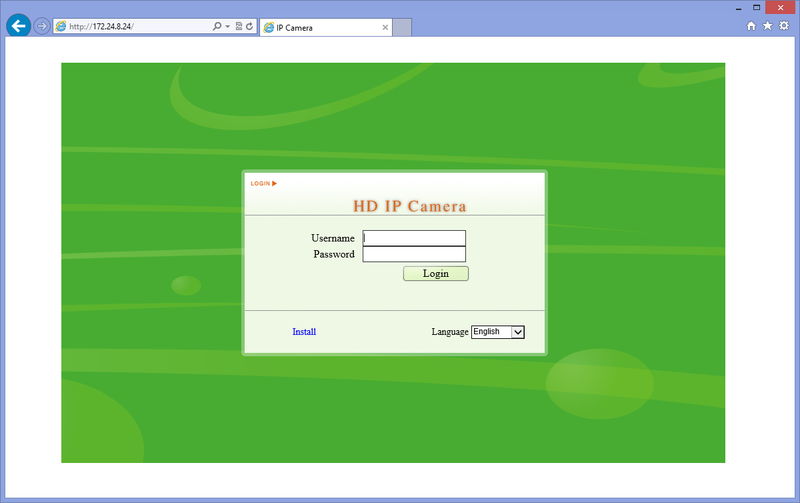 My cam Cotier-IPc-651/T13, I use T38R-ONVIF-P2P b V2.5.1.5. My cam uploads the pictures when alarm detected to my ftp server (Raspberry PI, Raspbian). Local storage enabled, and auto select. Strategy is overwrite when full. (there is no SD slot or USB in cam). But only the pictures, and I don't know why don't upload the video also. I have a big problem with my camera that persist also after firmware updates!!! So I cannot change anything on my camera!!! hello, can someone help me please? at http://www.en.tpsee.com/deviceupdate/95-1.html there are new firmwareupdates to v2.5.1.12, which one is the right one for me? Could you please , help me with a problem I have with TV-653W/IP camera? I have two units of this camera, the first one, bought in february 2014 works Ok, and I can take screenshots using the commnad http://IP/snapshot.cgi. The problem is that with the second one , the referre command does not work. I have also included the login and the password in the URL and I always get the same error "HTTP Error: 407 Proxy Authentication Required". The problem is the updated version of the firmware? Is there another command for taking screenshots from the camera? I looked at the v2.5.1.12 firmware but they don't seem to be available for the TS38ABFG006 chip/firmware our camera's are running. The newest available I have been able to find is still v2.5.1.5. If anyone can point me towards a newer version I would gladly test it! Do they have a version comptabile with the TS38ABFG006? Dear friends can someone share with me 64bit NVMS v5.3 or other version? Hi Guys…I'm from Brazil and bought some thousands of cameras that have modules from TPSEE, 1MP (HI3518C) and 2MP(TI365), and I'm trying to integrate with DIGIFORT surveillance system, some things we can do using ONVIF protocol, but my main need is use motion detection from camera, and DIGIFORT can't use external DLL they need to do direct communication with camera. I ask TPSEE for this documentation and get no response, I send a lot of emails and nothing. Is possible to get motion detect alarm using HTTP or TCP or something else? I dont know that the filepath format is correct. In my ftp server has the userfolder/Share2015 folder. If I write it to the filepath field not work the video upload. What is the wrong? Hey, I have one Cam with "T38F006-ONVIF-P2P V2.5.1.8 build 2015-01-12 10:42:48". If someone could tell me how to extract the firmware from the cam, I would publish it here immediately (after testing). Yeah it would be interesting to get that firmware. It should at least feature the ability to disable their cloud platform! Sadly, I don't know a way to extract the firmware either. Hopefully somebody can find it somewhere! Sorry, that camera is of a different model and I don't know anything about those either. What we have seen before is that if the camera has no local storage (SDcard) it can't buffer video to then upload. Snapshots should work though! i found the firmware at http://www.sc2k.com/Download/ . it is called 932B_TS38ABFG006-ONVIF-P2P-V2.5.1.8_20150112104249.bin. I installed it and it works fine. To disable the cloud function just type the "n" at the selection box (the pull down menu doesn't work but typing "n" does! I hoped the new firmware would give me a working onvif motion detection for my synology NAS. Unfortunately it still does not. Awesome! I hadn't been able to find it yet. I'll upload it to my FTP as soon as I get a chance so we can always get it! Thnx for letting me (us?) know! I bought a IP Cam on rascctv. com, Model TH38M-ONVIF-P2P, but I have problems with rtsp stream. 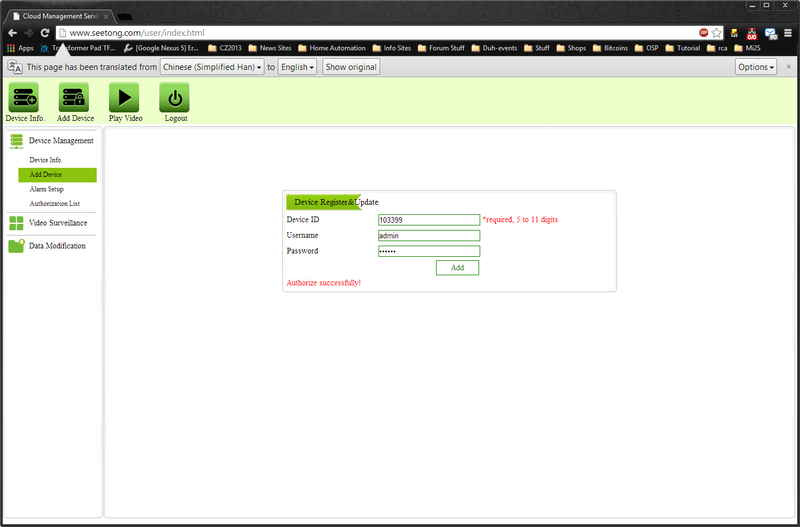 Web interface on IE is ok. Onvif Device Manager also cannot find rtsp stream. Is there someone with same problem? Did you try factory settings? With which program are you trying to stream? The TH38M is a different camera then we are talking about there. That might also be why the things you are trying to do are not working. Sorry, but I don't know how to help you with that. OK thank you. Is there the possibility to scan the rtsp stream? Do you know a program? Sorry, but I don't. You'll have to contact the company who made or sold the camera. Personally, that's why I only buy ONVIF compatbile camera's, because then you can always find the RTSP URL easily. I am also in the same case that all I buys this camera for image quality, especially color, much better than FOSCAM W8904. The problem is that the FTP is not working and if records SMTP settings for the photo by email routing. I think the standard RTSP blocks the system and that the product is not suitable for monitoring of network hard disk. If someone has found the solution to use this alarm mode camera image storing files on a network drive DLINK (via FTP) I'm interested. Could you tell me if I'm updating firmware I would get the FTP function? This camera use to me because I can only view images and not stored on my NAS. Pourriez vous me dire si je fais la mise à jour du firmware j'obtiendrais la fonction FTP ? Cette caméra ne me sert à rien car je ne peux que visualiser les images et pas les stocker sur mon NAS . Unfortunately the firmware update does not change . I managed to activate the motion detection but sending to FTP and sending by mail , remain inactive . I also have a problem with the time that is constantly resets . Bonsoir, j'ai le même problème que vous, avez vous trouvé une solution ? Hi, Can anyone please tell me the firmware version which works with seetong and actually shows a picture not just a black screen. Any idea were can I find the latest update for TH38M5-?